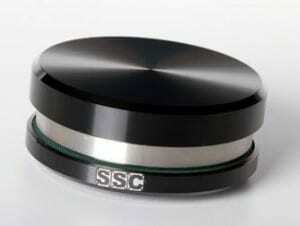 The guys at NuNu Distribution got in touch to tell us about the SSC Record Point 420 which is the new addition to the SSC range and can be used with most record players and aims to provide a good contact between the record and the platter and stabilise the record which the company say gives “less distortion and a more realistic sound image as a result”. You can fit the SSC Record Point 420 easily. 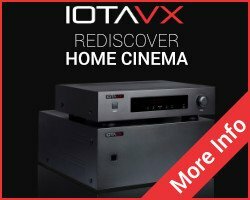 “Simply place on the turntable spindle above your record to give the sound more dynamics, improving the sound with minimal cost” continues the press release. The Record Point has a diameter of 66mm, an overall height of 26mm and a weight of 420g. These are made for heavier or larger pieces of equipment. The Liftpoints in particular are suited for placement under amplifiers, subwoofers or floor standing speakers, which may be screwed directly to them or simply placed on them. Both products will allow the transfer of the active forces caused by the mechanical energy of the components. Each Big Point has a loading capacity of 30Kg. The Netpoint family consists of three versions. All of which use the same “web technology” as in previous products. The 100’s have a felt pad on top and are housed in a black aluminium case. The 200’s, have a threaded centre disk and come with various adapters to suit equipment with threaded removable feet. The 300’s have an aluminium top disk with a counter-sunk hole to accept spiked components. 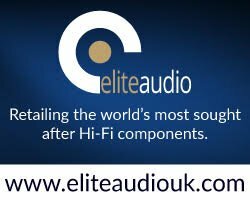 Decent Audio Announced as Distributors for Transfiguration Cartridges in the UK KEF Upgrade M200 In-Ear Headphones Free Classifieds For Secondhand and Used Hifi Roksan K3 – Sneaky Peek!